Singapore is a beautiful Muslim friendly county in Southeast Asia that most travellers dream to visit. It is also quite expensive! After hopping from one attraction to another, you will notice that the costs will start to add up. No worries, with these Halal friendly and effective tips on how to save money in Singapore, you can help protect your bank account from a fast decrease – while enjoying your holiday at the same time! 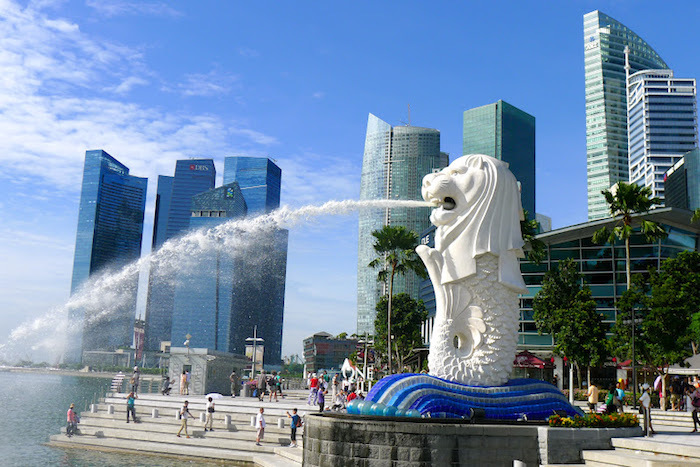 After reading this article, you will find out that travelling in Singapore will not break your bank account if you know how to travel smart in this beautiful republic country. Let’s check out the 9 Halal friendly and effective tips on how to save money in Singapore. Our first tip on how to save money in Singapore involves something that you should do as soon as your land at Changi International Airport. You should get yourself an EZ-Link card. The card helps you to save money as you only pay for the travelled distance rather than a regular flat rate! It is a public transport pass card that you can use throughout Singapore. With it, you will get a quick and cheap access to MRT, LRT, and public bus in the country. The card costs you SG$12 where you can use the SG$7 and the other SG$5 is a refundable credit. 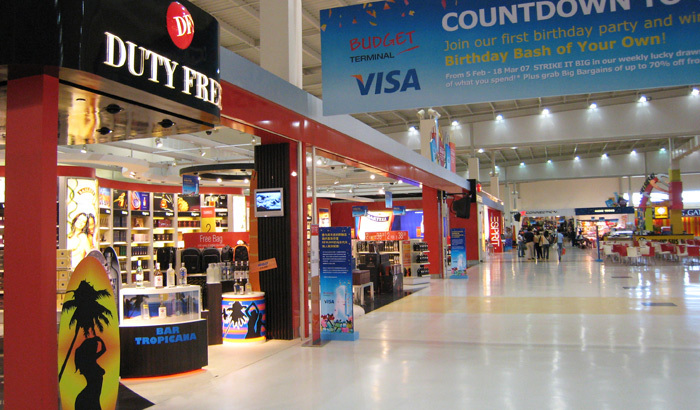 Another clever thing that you can do while travelling in Singapore is to shop at a tax-free outlet. Sure, Singapore is a shopping heaven where you can see huge and posh shopping malls at about every kilometer! By choosing tax-free outlets, you can shop to your heart’s content. If you spend above SG$300 at these tax-free boutiques or stores, you can claim up to 3% of tax return at the airport at the end of your Halal holiday in Singapore. That’ll help you to save more! 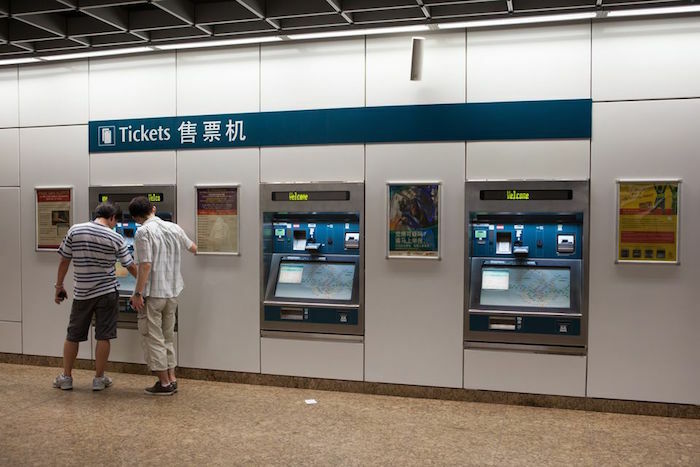 Here’s another clever trick on how to save money in Singapore – buy online tickets rather than at the attraction’s kiosk or counter! Besides avoiding the long queue, you can also grab great online discounts or special promotions and save 10% to 30%! There are many travel deals websites out there that offer bargained deals for tickets to top places in Singapore such as Universal Studios Singapore, Sentosa Islands Resorts, and Singapore Flyer. Mr. And Mrs. Halal extra tips on how to save money in Singapore: Get our special travel deals and enjoy top savings while having a Halal vacation with your family! 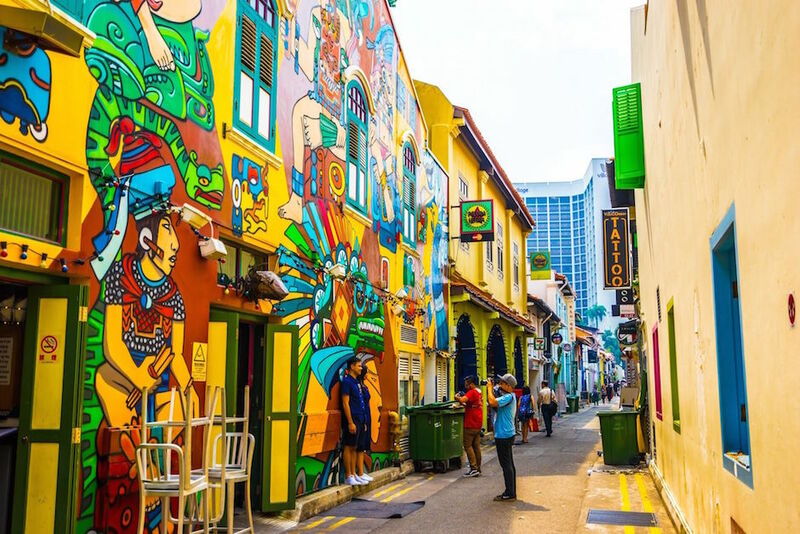 As you visit the iconic Merlion or wandering at the famous Arab Street, it is very easy for you to be tempted to buy small souvenirs at these top places. But that’s not the best way to travel budget in Singapore! Choose to buy souvenirs like Singapore T-shirts, keychains, or nice trinkets at local markets as they offer cheaper price tags. 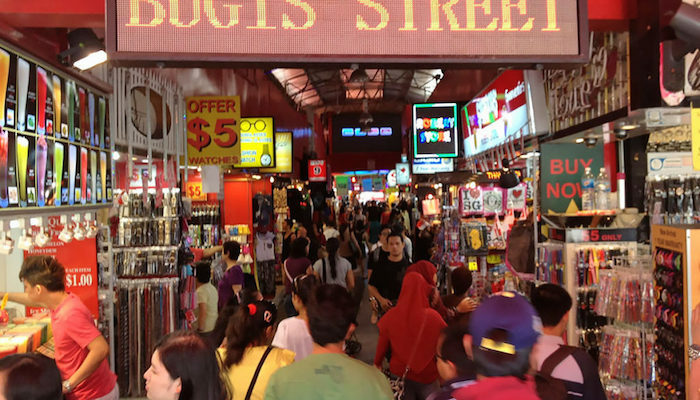 Some of the best markets to buy souvenirs or clothes that we recommend you visit are Bugis Market (24 keychains for only SG$10 – what a bargain! ), Chinatown, and Little India (shop at Mustafa Centre). When you are planning to have a Halal holiday in Singapore, make sure you include early online booking on your to-do list! 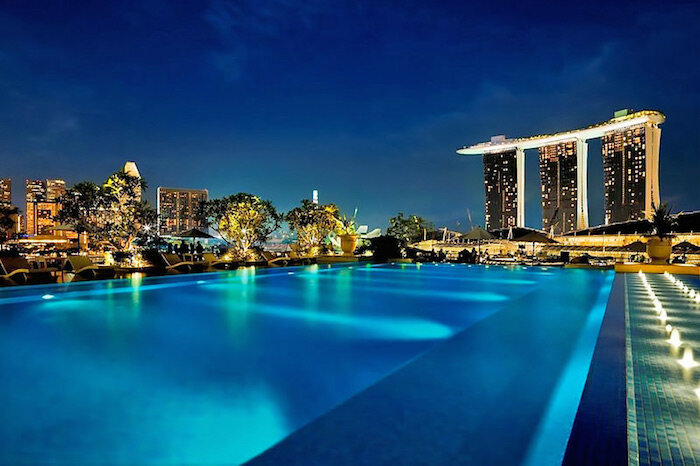 Booking top hotels in Singapore via online platform is way cheaper than booking on site. Some of the top hotel booking platforms that you can use are Booking.com, Hotel.com, Agoda.com, Trivago.com and many more! Mr. And Mrs. Halal extra tips on how to save money in Singapore: Check out our travel deals section to look at the current offers on top hotels in Singapore – you’ll save more bucks with these special promotions! For further savings, you can choose to get your Halal food by eating at a local stall rather than at a franchise restaurant (eating at a top restaurant can easily cost you SG$300!). They might be small stalls but the taste can surprise you as they are cooked by the locals – they serve authentic Singaporean food. 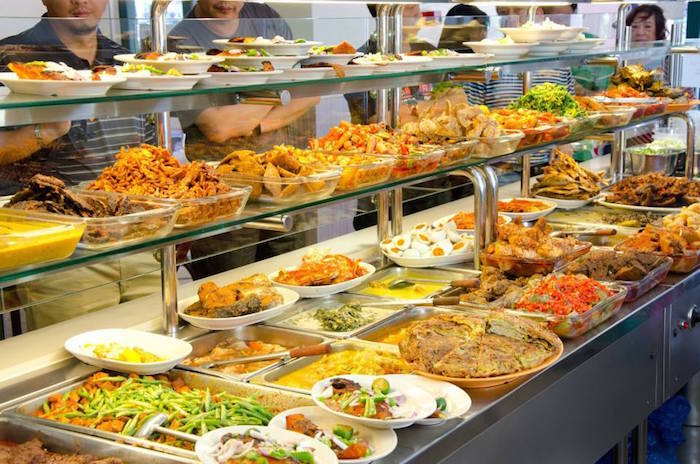 Besides eating at local stalls, you can also choose to eat at one of the food courts (try Bagus Food Court) that you can find in many shopping malls in Singapore. The price is way cheaper and this is especially ideal if you are travelling together with your family or friends. 7. Enjoy watching free night shows for a fun (and budget-friendly) holiday! Watching shows in Sentosa World Resorts or performances in USS might not be cheap. Save more by watching free shows instead! 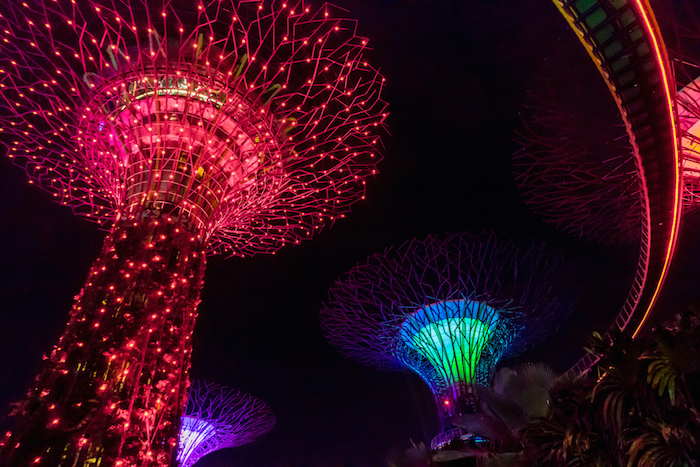 Usually, you can find free night performances done by the local artists or performers at some of the top attractions in Singapore. Head over to Arab Street at night to watch street performances by the locals. Go to Marina Bay Sands to enjoy night light and water shows for free (at 8pm and 9.30pm). Watch free shows at the Esplanade Theatre with your family or friends. 8. Know the law and avoid being fined! 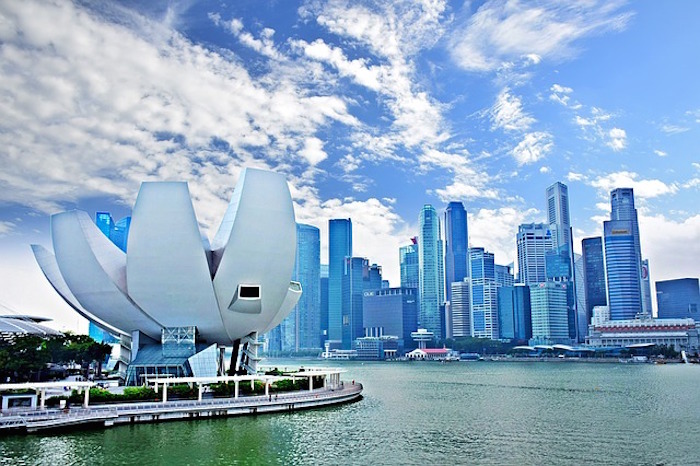 Singapore is one of those modern countries that have unique and strict rules. Before you travel to Singapore, make sure you learn a thing or two about their rules. If you break them, be ready to pay a hefty sum of fine! No chewing gums, snacks or drinks on MRT/LRT trains and public transports. Cross the roads only at the designated crosswalks. 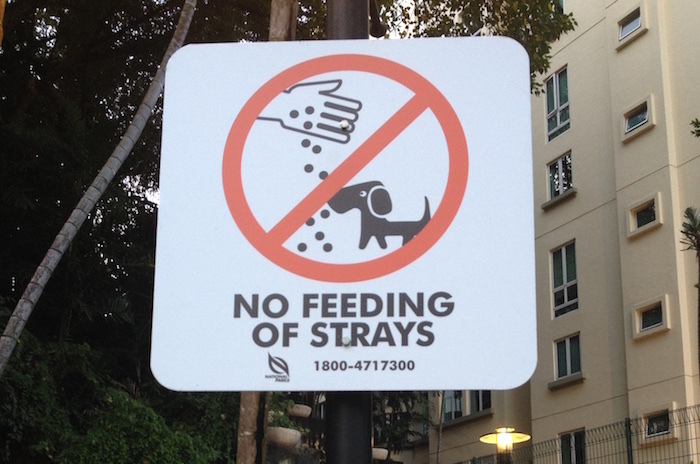 Do not feed the pigeons or strays – that will cost you SG$500! If you choose to rent a bike, do not cycle at pedestrian paths. Spitting is illegal in Singapore – avoid it at all cost! 9. How to save money in Singapore? Visit free places! We are listing down some of the fun and Halal friendly places that you can visit for free in Singapore. You do not have to spend a dollar to take pictures here and enjoy its scenic view! Wander at the famous Haji Lane and take photos or selfies here! Singapore on a budget – Save and have fun! Just because you are trying to save money while having a Halal vacation in Singapore, that does not mean you should not have fun. Try our tips on how to save money in Singapore and see that it can still be enjoyable at the same time. You just need to know what is the best way to get around the city, where to find cheap Halal food in Singapore, and which free attractions to visit to get a full Singapore experience!